The 2x4 Basics Dekmate Bench Brackets are the perfect solution for adding a bench to your deck. If you have ever wanted to add benches to your deck, the deckmate bench bracket will make this task much esier. Just mount the brackets to the edge of your deck and then attach 2x4's or 2x6's to the bracket frame. 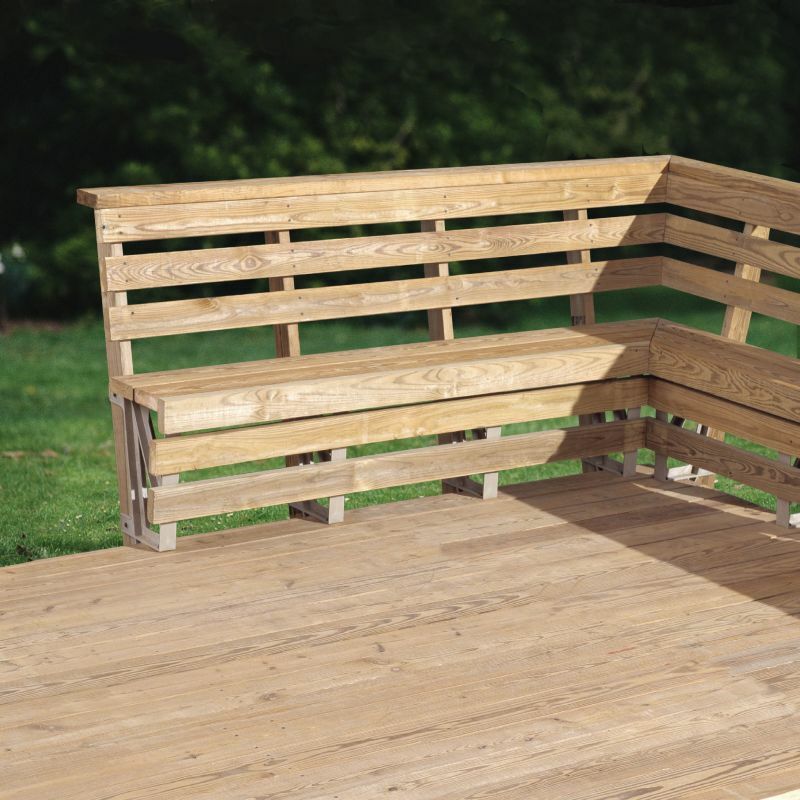 You can integrate benches into a deck design with much less measuring, cutting, and fitting than making them from scratch. ACQ treated lumber resistant hardware is included. Made of durable structural resin, the all-weather frame is built to last. 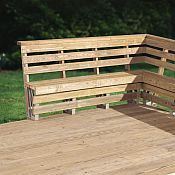 They are also great for mounting to docks for a nice relaxing place to sit and enjoy the water. The Dekmate Bench Bracket kit comes with every thing you need except the wood including all hardware necessary to build this great piece of furniure. Building a bench with the Dekmate Bench Bracket system is easy. Simple assembly with only a powered screwdriver, wrench, and a saw. Only straight, 90 degree cuts are required - no miters or angles. Stain, paint, or finish the wood to fit your style and application - or use treated lumber. The assembled unit stands 36 inches high to the top of the back of bench and a 17 inch seat height. Wood is not included. 10 YEAR WARRANTY. These brackets are sold in packs of 2. The price below is for a 2 pack of brackets. You can change the quantity to however many brackets you need when you add this item to your cart. Available in SAND, REDWOOD, and BLACK colors. Brackets sold in packs of (2). Adjust the quantity in the check out page.